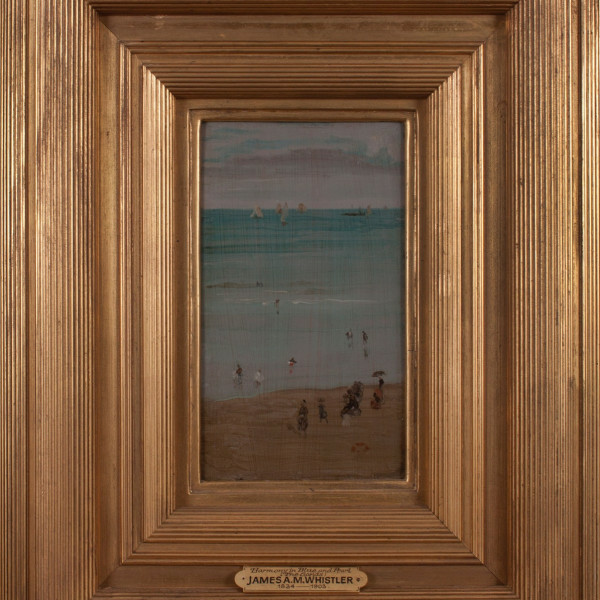 Gallery 19C, with Thomas Colville Fine Art, is pleased to announce the sale of James Abbott McNeill Whistler's, Harmony in blue and pearl: The Sands, Dieppe to the National Gallery of Australia. 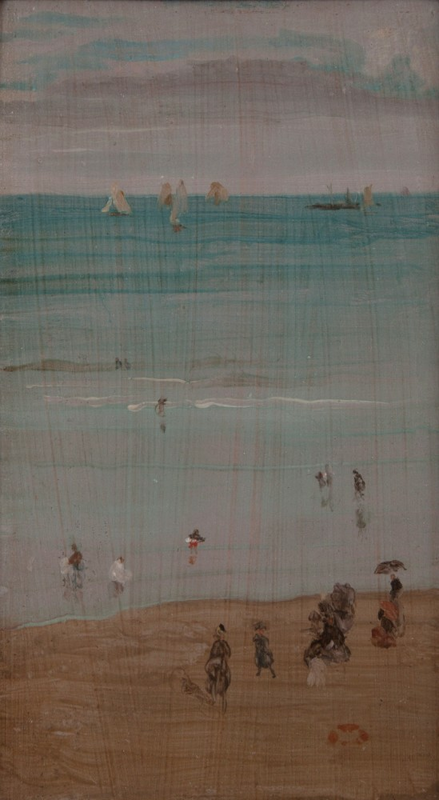 ‘Notwithstanding the fact that Whistler was American, we intend to display this marvel of rapid brushwork in the room with our Australian Impressionist collection, featuring masterworks by Arthur Streeton, Tom Roberts and Frederick McCubbin,’ said Gerard Vaughan, NGA Director. 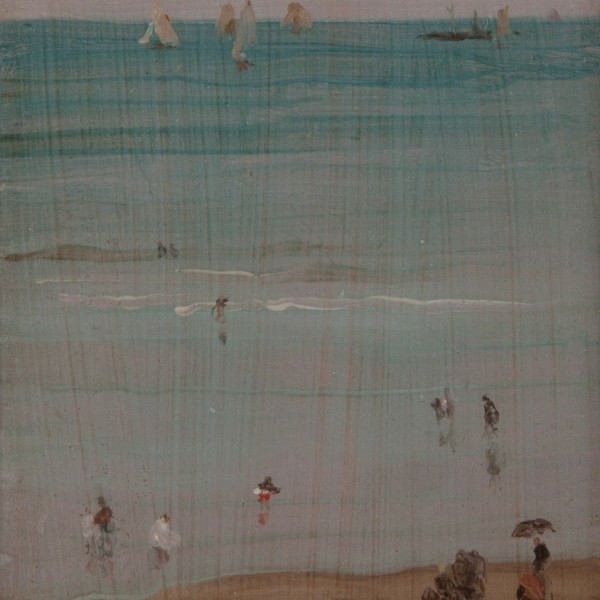 ‘Whistler’s connection with this turning point in Australian painting—considered highly innovative and contemporary for the time—makes this work relevant to our national collection.’ We are grateful to Allan and Maria Myers, Andrew and Tracey Sisson, the Dr Lee MacCormick Edwards Charitable Foundation and the Neilson Foundation for their support. 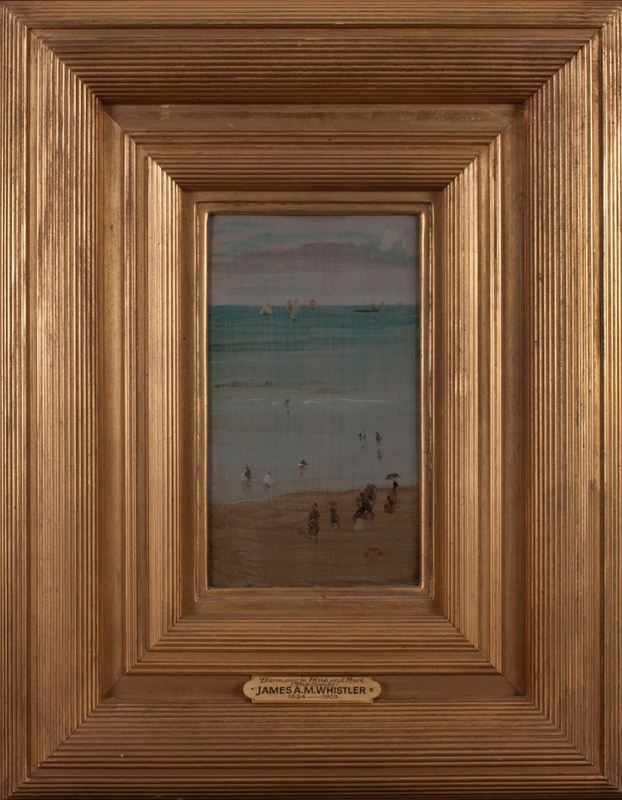 Whistler’s approach to depicting landscape through flat planes of colour painted on 9” x 5” cigar box lids sparked the imagination of Australian artist Tom Roberts through his encounter with Whistler’s London exhibition in 1884, which directly influenced Australia’s first avant-garde exhibition, the ‘9 by 5 Impressions’ show in Melbourne in 1889.